I am the mother of eight children, something that feels very normal and unimpressive to me, but usually elicits a response of shock and awe in people I meet. I feel largely unremarkable. You, too? In all these years of mothering, there have been joyful, wonderful, absolutely fun days, and there have been hopeless, depressing, despairing, and desperate days when I wanted to stay crouched beneath the covers and not have to face all of those little and not-so-little people who expected me to at least feed them. What hope is there for us when we see only the messes, only the discipline issues, only the strained marriage and the family problems and the failing business? We need hope, don’t we? What if I told you that the God who created you, created the universe, created every living thing, loves you, cares deeply for you, and has a perfect plan to bring all of our hopelessness to an end because He perfectly provides, perfectly protects, and perfectly carries out everything He set out to accomplish? In the summer of 2008, I found our 7-week-old in a coma. He was barely breathing, his skin was blue, and his eyes were rolled back into his head. An ambulance rushed him to the nearest ER, but it wasn’t until he arrived at a children’s hospital late that night that a diagnosis was made. We were told to sleep with our cell phones because he probably wouldn’t make it through the night. He had a deadly enterovirus, and it sent his body into liver failure, kidney failure, damaged his heart, and permanently damaged his brain. As I stood over my tiny dying boy there in that ICU, I suddenly heard the sounds of a woman wailing outside our little Joe’s room. She had lost her daughter to cancer, and she was hopelessly wailing outside our baby’s room. In that moment, I knew. I was so busy placing our hope for our children in everything but God. Our homeschooling, our church, our theology, our choices. These were the things I was hoping were going to keep our children from harm and cause them to grow up following Christ and living a life without major issues. I knew, too, that that woman felt hopeless, and I was so busy camping on things that were not the gospel, when what our dying world — what we — need, is the gospel. The gospel is this, in the words of author and pastor Tim Keller, “…we are more sinful and flawed in ourselves than we ever dared to believe, and at the very same time we are more loved and accepted in Jesus Christ than we ever dared hope. We can’t ever forget the gospel. In the midst of the yelling, brain-damaged 8-year-old, the dinner boiled over and pouring down the cabinets, the broken clothes dryer, the car that leaves us stranded on the side of the freeway (again), we must never, never, never lose sight of the fact that we are cared for by the God who gives us the only hope we can ever rely upon. He doesn’t look at you and see stressed-out mom. He doesn’t look at you and see failed marriage. He doesn’t look at you and see a girl who’s really bad at math. He doesn’t look at you and see a failure who once again couldn’t get dinner on the table in time. He sees Jesus. He defines you by Jesus. Jesus. Jesus, who lived a perfect life. I have not lived a perfect life, and there are nine people who live in my house who will testify that I have not lived a perfect hour. But my Jesus — He lived a perfect life, and when God looks at me, He sees Jesus. And when He looks at you — cowering, defeated, lonely, out of control, controlling, mouthy, sinful, needy — He sees Jesus. It will always serve us well to remember Whose we are and what He’s done for us. Instead of us, He has placed Jesus over, around, in, and under, to cover and to answer and to be everything we cannot and are not. That’s the good news. That’s the gospel, and it is our hope. 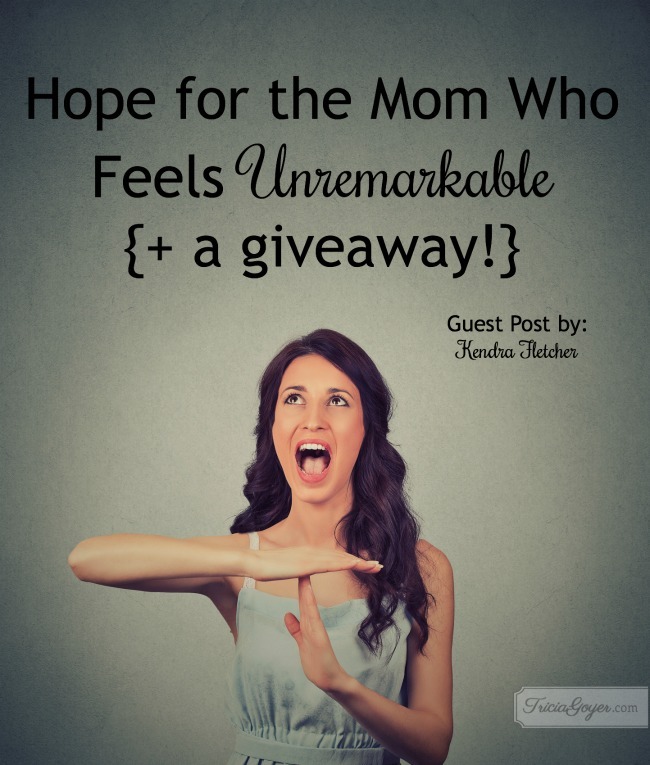 Kendra Fletcher is the mother of 8, speaker for groups and conferences around the country, author of several books, and podcaster on HomeschoolingIRL. 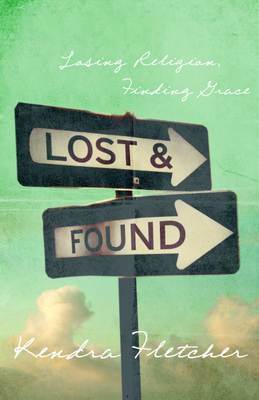 Her newest book, Lost and Found: Losing Religion,Finding Grace, is published by New Growth Press. I can’t imagine going through all the things Kendra has gone through. I would love to read this book. I does sound wonderful, doesn’t it? My life could be more simpler if my family and I would give away some of our clutter so that we are able to spend more quality time together. 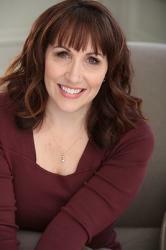 Stephanie, it’s an easy fix but so hard to do! I’ll be praying for you, friend! As a member of the homeschooling community in our area back in the earlier days of homeschooling in this community and now teaching in an academic homeschool co-op, I would find Kendra Fletcher’s book extremely interesting. I can’t imagine experiencing all the heartaches that she experienced, but I admire how she has victoriously come through them and points others to Christ. I’d love to read her book. My life could be simpler if I had fewer “things” to take up space and time. I love to read and consequently have lots of books, but recently I invested in a Kindle Fire so that at least my books don’t take up so much room. I think that’s true for all us–that life would be simpler without so many things. I love my Kindle, too! I have downsized before downsizing was cool & I still have too much stuff. Life would be simpler if I would just stop worrying & get on with it. My life could be simpler if we organized better. I feel like a lot of time is wasted because of looking for things. Also, meal prepping would be a big time saver. Actually my life would be more simpler if I would quit trying to win all these books. It’s not like I really Need them when my TBR stack is past the ceiling. But I do love to have a stack to choose from. My life would be more simple if we had less to keep picking up day in and day out. Decreasing the amount of stuff in our house! Remembering whose we are is so important. No matter the labels we or others put on ourselves……God view is what matters. My life would be simpler if I declittered my drawers, my cabinets, and my mind! I am seriously thinking of Homeschooling my special needs son. This sounds like an awesome book. We have 9 kids and I can relate to what you say completely. I would love to read your book and hear your while story. My life would be simpler if i could get rid of stuff that just sits there and no one never uses it (but someone or me is like…no someone might use it someday?..really?) someday !!!! My life could be simpler if I just learn to not sweat the small stuff life throws at me.